A pipe lining (CIPP) or Cured in Place Pipe is a cost effective and safe method for replacing or fixing a damaged pipeline in your home. Epoxy pipe linings are convenient and most of them can be installed without requiring a trench to be dug, saving a substantial amount of precious time and reducing the need for landscape repairs. Installing an epoxy pipe lining is just like getting a new pipe, and the quality is excellent and right on par with a completely new pipe installation. Pipes that had problems relating to corrosion, leaks, and other structural integrity issues are fixed with this method. When you get an epoxy pipe lining it fixes the problem that you have very effectively, whether it is a corroded pipe, minor tree root invasion, or other problem. You don’t have to wait for a trench to be dug and then deal with the hassles of having to fix it up. The pipe linings are damage and weather resistant and they last for several decades, while ensuring that your plumbing system or pipelines can resume functioning as quickly as possible. First, the pipelines are evaluated using a sewer camera in order to determine what is needed to resolve the issue. After this, one of the first steps of a pipe lining (CIPP) installation is to use high pressured water to clear out the pipeline, which removes many of the potential causes of problems such as slow moving drains. Once these obstructions are removed, the pipe lining installation can continue, and it is cured in place using special resins that stick to the interior of the existing pipe. A cured in place pipe (CIPP) is created with this method, and the new pipe has several different benefits and advantages compared to other types of materials. Normal flow rate is restored with the installation, the parts of the pipe that were leaking or damaged are repaired, and most importantly, the whole process is completed underneath the surface. This means that there is no damage to landscaping or other above the surface damage aside from a few small access holes that have to be dug. 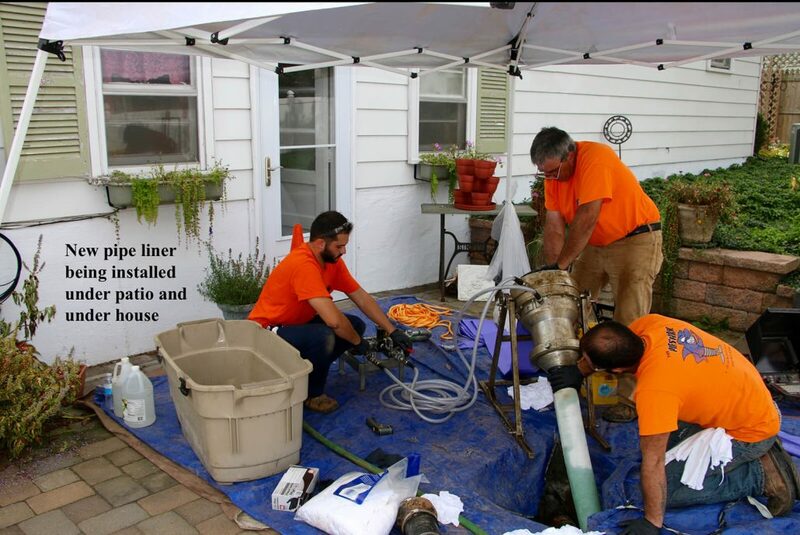 Our team is experienced with CIPP pipe repair and offers this service for maintenance, and troubled pipe line repair in houses, condos, and apartment complexes across Pennsylvania. Call our staff of experts to schedule a consultation and learn more about how we can help you. If you’re in need of the best pipe lining Philadelphia has to offer then talk to an expert at Pipeshark today by calling 610-993-9300.